Annual 6-day ride, doing a loop of about 250 miles around Arkansas. This is usually self-contained with camping. We cook in camp when needed and eat at diners along the way. Must be an ABC member. 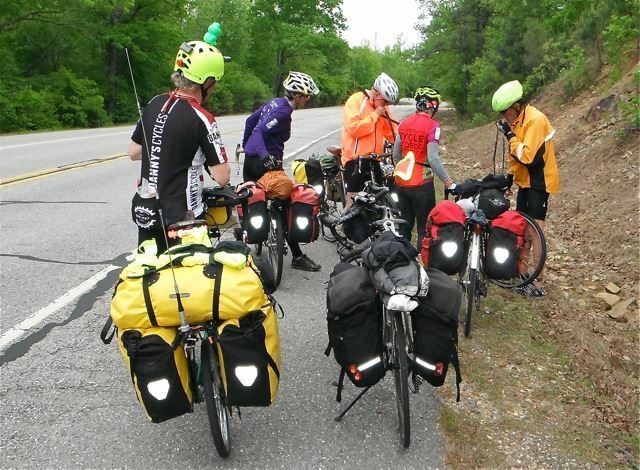 Your registration will put you on the email list for updates and give you the preliminary route, leaving from Dardanelle, Ark. The current schedule is to go to Mt. Magazine the first night, then Charleston, Waldron, Blue Mt. and perhaps back to Mt. Magazine. Parking location will be given before the ride.